KIT-IT! Pair your new SL racks with a pair of Happy Trails Mojave side bags. Easy-on, easy-off with waterproof lift-out liner. The Mojave bags fit these racks like a glove. Fitment note: the Mojave bags are pre-fitted for our SU racks (the majority of our kit sales) and in some cases the holes drilled through the backer plates for the bags may need to be slightly enlarged for the SL fitment. The SL (Soft Luggage) Rack is designed for use with soft luggage of any type. In particular it will accommodate either the newly released Happy Trails Mojave Soft Luggage (utilizing our tried and tested aluminum plate and puck mounting system), the waterproof Ortlieb QLR (Quick Release System), or the Wolfman Expedition Dry Bag series. Racks improve the structural integrity of the rear sub-frame adding protection for the bike in case of a tip over. Note: Happy Trails SL Rack is not compatible with the OEM tail rack. Unmatched strength. No one makes a stronger soft luggage rack and no one offers a better warranty. 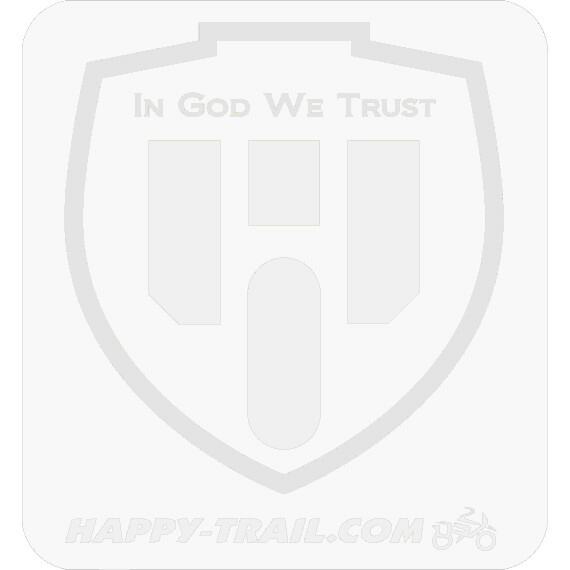 Happy Trails racks are true adventure touring racks. When your trip depends on it accept no substitute. F650CS width with SL installed - 21"
Finish: black powder coat paint only.